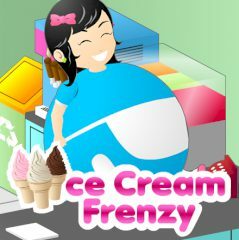 A nice ice-cream cafe simulator. Manage your cafe, buy new equipment and serve as much clients as you can! Your menu: three types of ice cream, three types of fizzy drinks. Not very hard, isn't it?